This Saturday, March 3 at 8pm, the Spokane Symphony takes the stage with the Steep Canyon Rangers at the Martin Woldson Theater at the Fox. 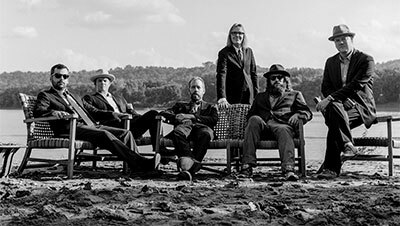 Enjoy an evening of rugged, rootsy folk, country and bluegrass with the Grammy Award winners, who recently released their new album, Out in the Open. Tickets available at the Box Office of Martin Woldson Theater at the Fox, or by calling 509-624-1200. They are also available online and at all TicketsWest outlets. The 40th Annual Northwest Bach Festival, with Artistic Director Zuill Bailey, is underway and runs through Sunday, March 11, featuring Festival Classics Concerts, Twilight Tour Concerts, special events and more. Tonight, Wednesday, February 28 at 6pm, the first Twilight Concert will take place at Barrister Winery, 1213 W Railroad Ave, with performance by Ying String Quartet And Zuill Bailey. Festival Classics Concerts continue on Friday, March 2, 7:30pm at Hamilton Studio with the Ying String Quartet and Zuill Bailey, cello. On Sunday, March 4 at 3pm, the Festival concludes at Barrister Winery with the Ying String Quartet, Zuill Bailey, cello, and David Armstrong, viola. 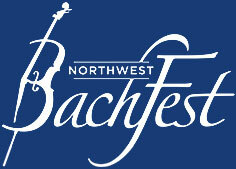 For a complete listing of Festival concerts and events, visit www.nwbachfest.com. Rock and Roll Hall of Famer and Grammy-Award winning rock icon Carlos Santana and his band Santana will bring the Divination Tour to the Spokane Arena this Sunday, March 4. Santana will perform songs from their forty-year career, including fan favorites from Woodstock to Supernatural and more. Tickets available at the Spokane Arena Box Office, all TicketsWest Outlets, and at www.ticketswest.com or 800-325-SEAT. Inlander Restaurant Week continues through this Saturday, March 3, throughout Spokane and North Idaho. All 107 of the participating restaurants' menus are online at InlanderRestaurantWeek.com and in the current Inlander newspaper, so make your reservations and enjoy the Inland Northwest's culinary delights. 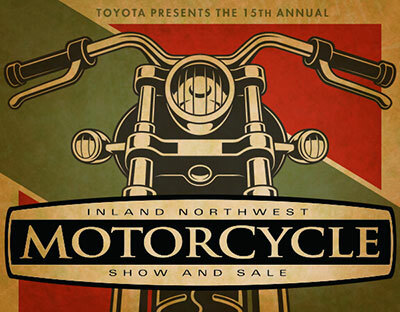 The 15th Annual Inland Northwest Motorcycle Show & Sale runs from Friday thru Sunday, March 9-11 at the Spokane County Fair & Expo Center. See what's new for 2018 and get great deals on everything you need for the open road. Special show prices, great financing and deals on motorcycles and accessories. Seattle Cossacks Stunt Shows, Indoor Swap Meet, Live Music, Biker Bar, Indoor Poker Run, Beard & Mustache Competition and much more. See the area's best bikes as they compete for trophies, prizes and Toyota will give away $100 Gas Cards every two hours. Admission $10 for adults, cash only, good all weekend. $5 for kids 6-12 and children 5 and under free. Show hours are Friday 3-8pm, Saturday, 10am-8pm, and Sunday 10am-4pm. For more information, visit the website at www.spokanemotorcycleshow.com. Finnish cello metal band, Apocalyptica, released their epic debut album, Plays Metallica by Four Cellos, in 1996 and changed the landscape of heavy metal music. Electric cellos played by the Helsinki rockers provided a surprising new interpretation of the hits of the popular American metal band, Metallica. Their tour comes to Spokane on Monday, May 7 for a concert at Martin Woldson Theater at The Fox at 7:30pm. Apocalyptica will perform Plays Metallica by Four Cellos from start to finish, as well as additional Metallica hits. Apocalyptica tickets are on sale now, available online at foxtheaterspokane.com, at the box office, by calling 509-624-1200, and at all TicketsWest outlets. The Ham on Regal players are gearing up for another fun filled show for audiences of all ages. More than 250 parents will perform and show off their hidden talents by 'hamming it up.' Don't miss your chance to see them sing, dance, jump, and jive as they put on this annual Spokane tradition now in its 55th year. Follow this year's show down the yellow brick road and 'The Wizard of Hogz' will take you on a hilarious journey through the calendar year. Ham on Regal has raised well over $1.7 million through the years, all of which has been distributed to support, enhance and enrich Ferris programs. Ham on Regal performances are at the Ferris High School Auditorium, 3020 East 37th Avenue. Show dates run Sunday, March 11 through Saturday, March 17. Tickets are $9 each and are on sale now at Round Table Pizza on Regal, 2nd Look Books, Rosauer's on 29th, the Ferris Business Office, or from any Ham on Regal cast member. For more information, visit hamonregal.org.